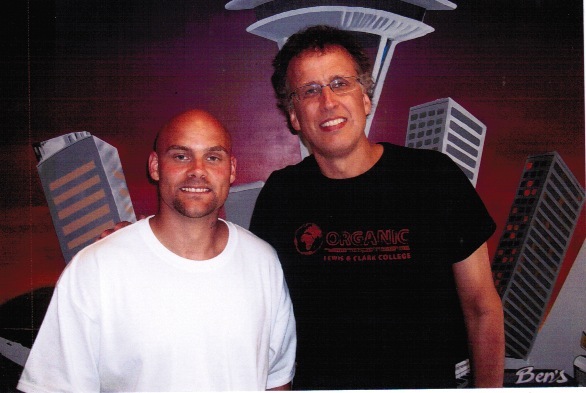 In late December 2012 I received a letter from Jeff, a 35-year-old man currently incarcerated in Washington State Reformatory who I hadn’t seen or heard from some two years. He was writing to tell me that on January 1, 2012 he’d totally surrendered his life over to Jesus and that things were going well. “I’m trying to reach out to the homies (fellow gang members) here. I get them signed up for church and with some I do Bible studies. Now I know why you do what you do.” Jeff’s letter was a bright light of hope for me. Jeff grew up on the streets of our county, running with Mexican gangs. Much of the parenting he’s received has been from the moms of his homies and from older gang members. I was drawn to him from the moment we met 18 years ago, and have been pained that our connections have usually been during times of crisis between prison sentences. Jeff calculates that he’s been locked up for a total of 18 years, including stints as a juvenile. I first met Jeff in 1995 in Skagit County Jail in one of my most memorable experiences as jail chaplain. On that day, my Bible study on John 4 was not working. The thirty or so Spanish-speaking inmates were unusually agitated. I took an inmate’s advice and wrapped up the study with the Lord’s Prayer, which I found myself praying faster and faster as I was hearing noises around me. When I opened my eyes, men on both sides of the room had chairs raised over their heads (a good reason to keep your eyes open when praying). I later learned that the Sureño gang members in the jail had planned to jump the Norteños during the Spanish Bible study because a Norteño guy had started a rumor that disrespected Jeff, a Sureño. Inmates later told me that they felt paralyzed when the Spanish version of the prayer ended (it ends with “deliver us from evil”), and were unable to lower their chairs down on the heads of their enemies. I did some one-on-one visits with Jeff who was 18 at the time, and then didn’t see him for two years while he served his prison sentence. Once released Jeff contacted me, asking me to perform a wedding for him and his childhood girlfriend Catalina, which I did. Sadly, in spite of Jeff’s love for Catalina and their baby girl Angel, gang involvement and drug dealing kept landing him in jail and prison. Jeff and Catalina’s marriage didn’t survive these stresses, though they have remained close friends. The last time I had seen him was two years ago at a very stressful time. Skagit County prosecutors were trying to put Jeff away for 24 years on drug charges with gang enhancements. Aware that nearly all of Jeff’s past crimes were directly related to drug abuse, I had attempted and failed to convince the prosecutor to let Jeff into drug court. Jeff’s anxiety about being locked up for the rest of his daughter Angel’s youth was so extreme that he ended up inciting a riot that led to still more charges. He was shipped off to prison while I was on an itinerant speaking trip in the UK. These past two Fridays I have visited Jeff in Washington State Reformatory (WSR) and your SW of here. Since I had seen him respond positively to Jesus in past jail Bible studies I was curious about his letter stating he’d surrendered his life to Jesus only last year. He told me that actually his conversion had started right at the darkest point during his last time in jail. He told me how the prosecutor has surprised him by inviting him to accept a plea agreement for only 60 months in prison— five years instead of a potential twenty-four. This felt to him like a direct intervention from God. I was shocked to hear about this as well. I had called this prosecutor, presenting Jeff to her the way I saw him. I told her that as Jeff’s pastor I knew a side of him that law enforcement had not seen. I knew that underneath his rough exterior he had a compassionate heart and a true desire to change. I asked her to trust me and to believe in him, even after his recent behavior and the riot. She had listened but insisted that she couldn’t give him any breaks. But then she did! Jeff and I have spent the last two Fridays reading the Bible and praying together, and talking about his dream to work with young people prone to gang involvement. Jeff is a natural leader, is growing spiritually by leaps and bounds, and is actively preparing for his August 2014 release. Jeff told me about how there have not been any Spanish services in the prison since he’s been there, and named many Mexican inmates who I know. He urged me to make contact with the prison officials. Last week I called the prison chaplain who is enthusiastic and is doing everything possible to have me approved to begin a bi-weekly Spanish service by June. As far as I know Jeff, Catalina and Angel do not have people actively praying for them. You can make a big difference through your intercession. All of them need protection, wisdom and clear direction for their future, as well ongoing growth in knowing and following Jesus. Pray for me as I prepare to launch a new ministry to Spanish-speaking inmates in the WSR prison. 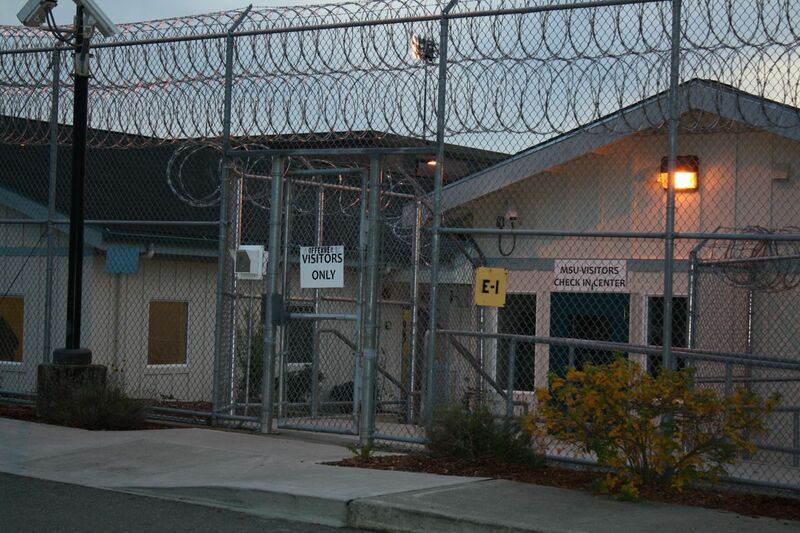 Pray too for Tierra Nueva as we focus more attention on effectively welcoming ex-offenders back into our community.